What better way to top off your Halloween costume than with a hat? 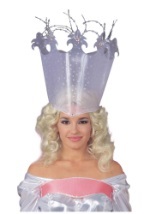 Our costume hats for sale are an excellent way to dress up your costume and add extra flair. We also offer an array of novelty hats, great for multiple events, that make fun costumes all by themselves!